If you ever wanted to know more about one of the most infamous terrorists in world history, well, it's your lucky day. On Wednesday, the U.S. Office of the Director of National Intelligence (James Clapper's office, in other words) released over 100 documents that were reportedly seized from Osama Bin Laden's Pakistan compound after the operation that killed the former al Qaeda chief in 2011. They're getting a ton of attention, and it's not hard to see why, considering they offer insight into the life and mind of the most notorious terrorist in recent history — one who managed to evade American authorities for over a decade, no less. 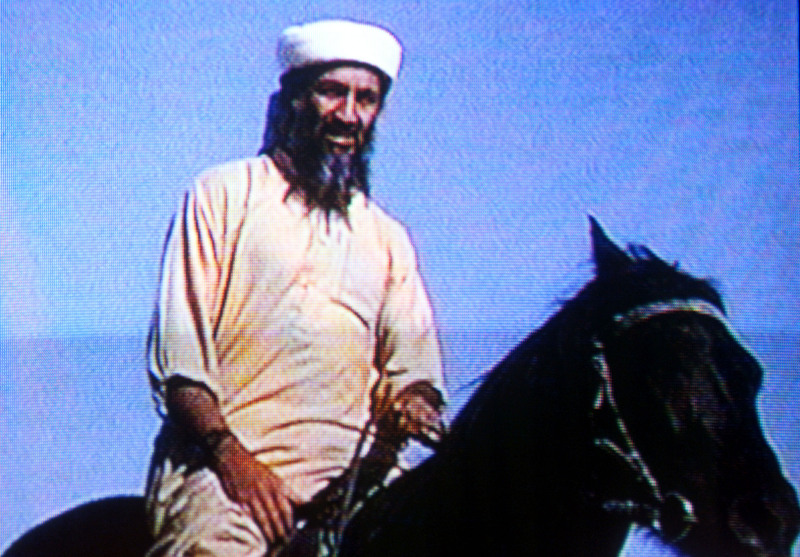 The contents of the documents are interesting, too, as evidence by these takeaways from the Osama Bin Laden document trove. The documents aren't the only thing that's interesting about this story, to be sure. The timing of the release is also noteworthy, considering that just weeks ago, veteran investigative journalist Seymour Hersh authored an article alleging widespread deception surrounding the Bin Laden manhunt, including the worth of the documents that were found. The report was taken studiously seriously in some circles, and casually dismissed by almost everybody else, with the White House and CIA deriding it as "nonsense" and "baseless." As CNN details, one of Bin Laden's complaints with fundamentalist Islamic terrorism writ large? The emphasis on forming an Islamic state — in other words, exactly what ISIS is all about. Bin Laden urged jihadists within North Africa to stop working to form such a state, and focus instead on attacking U.S. targets. This isn't surprising based on his history at the top of al Qaeda — from the U.S.S. Cole bombing in 2000 to (obviously) the 9/11 attacks a year later, his preferred strategy was to strike high-profile American targets first and foremost. It may not sound like much, I admit. After all, planing a terrorist attack like 9/11 virtually assures that you want your victim to launch a war — what other practical response would anybody have expected from America after that fateful day? Furthermore, he spoke about this overtly while he was alive. But, it bears further mentioning — just as Bin Laden bragged post-9/11 of successfully embroiling the U.S. in a lengthy, depleting war, he continued to take that tact while in hiding. As Mashable noted, he wrote a taunting open letter to America about the perceived unwinnable nature of the conflict. You wouldn't typically think of Bin Laden as a family man — conspiring to kill thousands of innocent people has a way of thwarting that impression. But the seized documents do show a late-life Bin Laden who's got his relatives on his mind — he wrote a letter to the mother of his soon-to-be daughter-in-law, praising the imminent union as something "which our hearts have been looking forward to," as CNN noted. He also received a warm, loving letter from another adult son (the guy had a big family, to say the least, with 20 children). The names of 38 English language books discovered when Bin Laden was killed have also been released, a strange mish-mash to be sure. The list includes left-wing intellectual icon Noam Chomsky's Hegemony or Survival: America’s Quest for Global Dominance, longtime Washington journalist Bob Woodward's Obama's Wars, The Best Democracy Money Can Buy by Greg Palast, and a slew of conspiracy theory texts. Notably, one book about the Illuminati, and perhaps most strangely, a 9/11 truther book. Bin Laden seemed invested in staying in touch with the outside world, even with that only possible through ingesting media coverage. His most favored publications on the basis of the ODNI's disclosures: Foreign Policy and Newsweek. He also had a copy of Popular Science's "Best Innovations Of The Year" issue for 2010 — maybe he was really jonesin' for a new iPad? This one comes as something of a surprise. Osama the climate change activist? Not really, obviously, but he wrote some cautionary things on the topic, as Mashable detailed — he was very concerned that the chaotic effects of climate change would have dire implications for Muslim societies, albeit layered under a fundamentalist religious bent. Effects associated with the enormous climate changes (TN: begin footnote) using such expression without mentioning the view of Shari'ah concerning earthquakes and discord seems purely Western. The secularists maintain that these are natural disasters we must confront. ... Millions of children are left in the open, without a suitable living environment, including good drinking water, which has exposed them to dehydration, dangerous diseases and higher death rates. I pray to Allah Almighty to grant them both relief and mercy.